Leeds is one of the few cities which boasts three universities; the University of Leeds, Leeds Beckett University and Leeds Trinity University, making the city a prime student destination. All three universities are easy to find from Leeds City Centre – the city centre campuses are less than a 15 minutes’ walk away. Bus services 92, 93 and 94 run directly onto Leeds Beckett Headingley Campus and the 97 is the main bus service to the Leeds Trinity University campus. It’s a great city to visit, and is placed in the top 10 ‘Best UK destinations’ by TripAdvisor’s 2014 Travellers Choice Awards. Leeds hosts a variety of well-known hotel chains, independent boutiques, luxury serviced apartments and friendly B&Bs, with something to suit every taste and budget. The New Ellington, 42 The Calls, The Queen’s Hotel and Malmaison all offer luxury accommodation, whilst budget options include the Premier Inn, Travelodge and Ibis. All located in and around Leeds’ vibrant and compact city centre, perfect for those brief university visits! There’s an eclectic mix of quirky independents, a burgeoning street food scene and gastronomic stalwarts to experience in Leeds. Try Trinity Kitchen – a mix of vibrant restaurants and street food vans – or Shears Yard for contemporary dining made with modern ingredients. Red’s is the place to go for BBQ flavours that pack a punch and Mrs Atha’s for urban café culture. For buzzing nightlife, take a trip to Call Lane for a compact row of independent bars with personality, or Trinity Leeds for high-end venues serving cocktails complete with panoramic city views. For some family friendly fun, Roxy Lanes offers boutique bowling, along with drinks and snacks, including signature cocktails. Looking for something a bit heavier? Visit Leeds’ longest serving nightclub, the Warehouse, for top DJs and a mind blowing sound system. Bringing 3,000 years of warfare to life, see demonstrations of everything from swordfighting to jousting, alongside a sprawling collection of ancient weaponry from the Tower of London, at the world-class Royal Armouries. Leeds is the go-to city for an abundance of galleries including White Cloth Gallery, Leeds Art Gallery and the Cultural Quarter with Leeds City Museum. Or watch a classic opera or ballet performance at Leeds Grand Theatre. Celebrating the Leeds College of Art’s most famous graduate, the Henry Moore Institute is one of the city’s cultural highlights. Part of the Yorkshire Sculpture Triangle, it has the largest sculpture collection in Europe. The Tetley Brewery has resided in Leeds for almost 200 years (it’s now a centre for contemporary art). Taste the city’s own ales: Leeds Pale, Yorkshire Gold, Leeds Best and Midnight Bell from the Leeds Brewery. There are a number of fine watering holes to choose from, from the ornate Edwardian interiors of Whitelocks (the city’s oldest pub), to the trendy bars of the Corn Exchange Quarter. Leeds city centre is easy to get around on foot, perfect for dedicated shoppers. 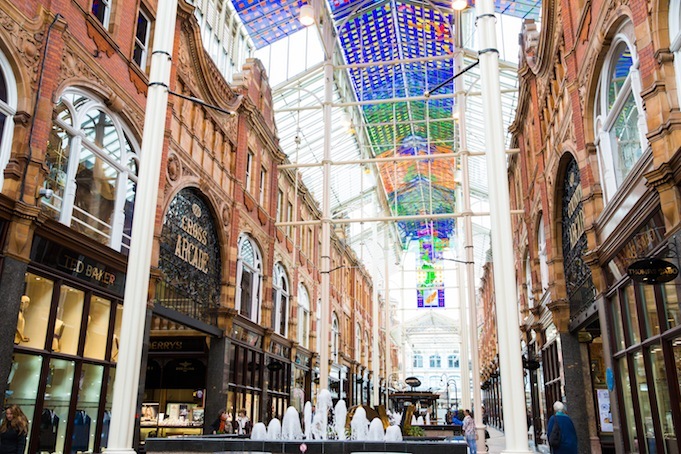 The ornate Victoria Quarter, housed beneath stained-glass ceilings, is home to designer brands including Vivienne Westwood and Louis Vuitton, and other leading fashion and lifestyle brands. For a unique Leeds experience, head to Kirkgate Market, one of the largest covered markets in Europe. It’s the heart of the city’s retail heritage and has 200 stalls, including a Polish delicatessen, a Chinese supermarket and an Asian bazaar. Café Moor offers an authentic taste of the Middle East. The Leeds Owl Trail, a self-guided walking tour where you spot owls intricately carved into 25 city centre attractions, was created by a local artist to provide visitors with a fun way of learning about Leeds’ rich heritage. The city centre is mainly pedestrianised, which means meandering around the city is one of the best things to do. Spend some time taking in the grand Victorian facades, the vibrant network of covered arcades and cobbled alleyways down by the canal. Situated in the stunning Roundhay Park, one of the largest parks in Europe, Tropical World is one of the country’s most popular garden tourist attractions. 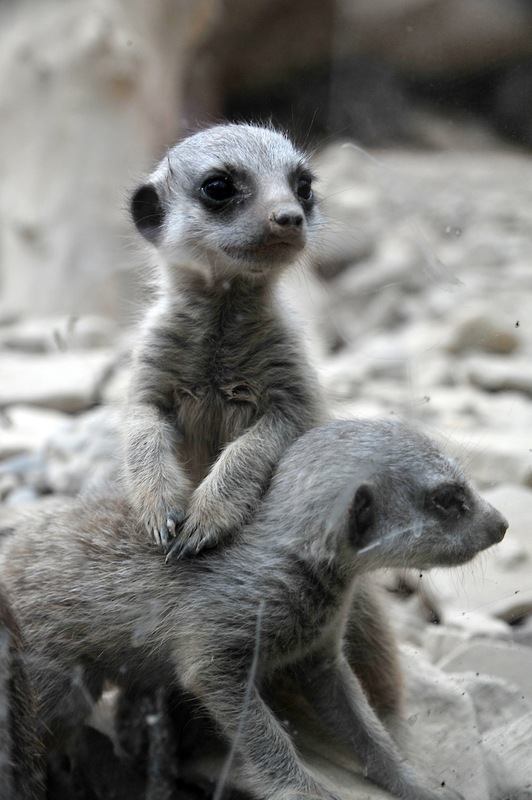 There’s wildlife galore, including meerkats, crocodiles, terrapins, birds, butterflies, fish and exotic insects. Kirkstall Abbey is one of the most complete Medieval Cistercian Abbeys in Britain. Enjoy the breathtaking architecture from the luscious green park that surrounds it, and take a trip to the onsite visitor centre to discover the history of the ruins. The city has several outstanding theatres, so catch a show while you’re in town. Choose from the West Yorkshire Playhouse, Carriageworks or the charming Leeds City Varieties Music Hall. Was great to read this as heading to Leeds in a few weeks to settle my eldest in to uni. Will let you know how we do. Great website Kim!